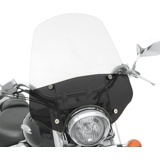 Like bikes themselves, a motorcycle windshield or fairing is a matter of personal preference. 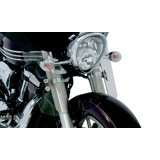 Some riders like a high screen that completely shields the face, while others prefer to look just over the top of the screen -- but they all want to limit buffeting. 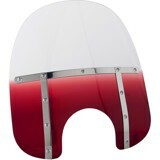 Some riders enjoy tinted screens or colors, while others prefer clear shields -- but all want to look good and feel confident in their protection. 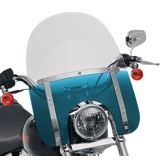 Tall or short, wide or narrow, tinted or clear, Memphis Shades offers more windshield height/color options than do many OEMs. 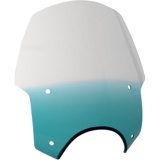 Well built, long-lasting, and sturdy yet light, Memphis Shades windshields get fewer scratches because they're made with Lucite® for superior clarity and weather resistance. 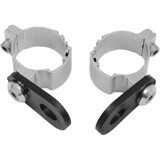 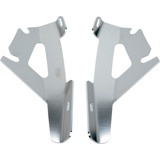 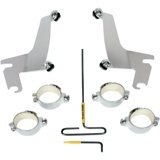 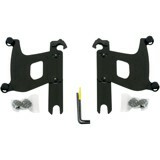 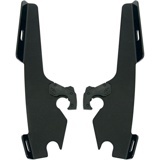 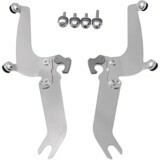 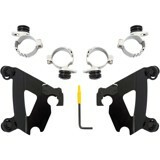 And most screens offer quick-change mounting, utilizing a Trigger Lock mechanism for speedy on/off versatility. 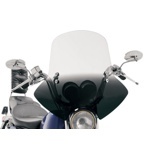 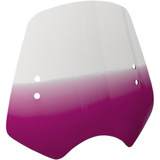 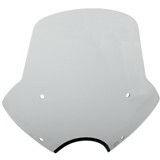 Memphis Shades are the clear choice for riders who want a stylish custom windshield or fairing for their motorcycle. 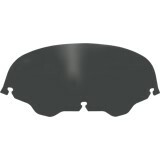 And PartsGiant.com has all the Memphis Shades products you need to protect yourself, your passenger, and your bike from harsh elements, road debris, insects, and anything else that comes flying your way. 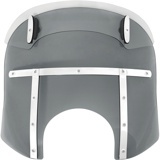 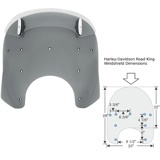 The height of Memphis Shades' Slims, Fats, H-D replacement and Sportshields windshields are measured from the top of the headlight cutout to the very top of the shield. 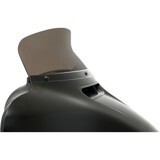 The height of their Gold Wing, Bagger and Batwing windshields are measured only from the top of the fairing. 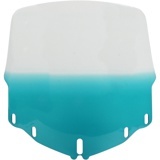 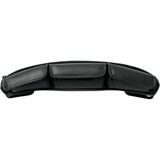 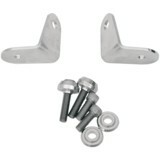 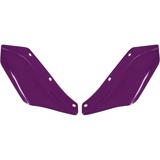 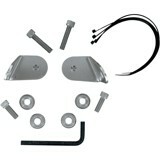 When ordering any Memphis Shades windscreen, please be sure to order the appropriate mounting kit as well.